WineExpress.com is the exclusive wine shop partner of The Wine Enthusiast catalog and website, which have been providing quality wine accessories and storage for nearly 40 years. During that time they've served millions of satisﬁed customers and built a loyal following of avid wine lovers. It's only natural then for them to have teamed up with a great wine shop to bring their customers ﬁrst quality wines at value prices. WineExpress.com is the exclusive wine shop partner of The Wine Enthusiast catalog and website, which Josh Farrell, Wine Director of WineExpress.com has 20 years of experience as one of America’s foremost wine merchants and wine tasters. In the 80‘s and early 90’s he was a restaurant buyer for some of New York’s top restaurants, becoming Cellar Master and Sommelier at the legendary Windows on the World. During his tenure at Windows he did all ofthe buying for the restaurant's 2,000 selection wine list and 100,000 bottle cellar. Josh was particularly adept at matching the prixe-ﬁxe haut cuisine menu for the innovative cellar in the Sky restaurant with spectacular wine pairings. 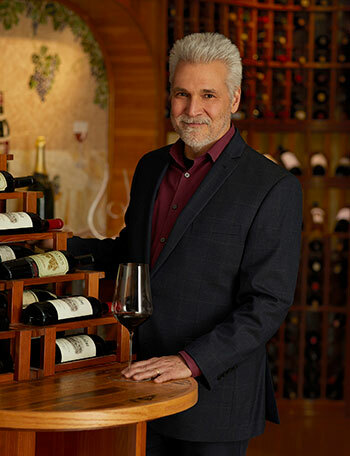 In the past with Wine Enthusiast Companies, Josh has worked as a Wine Storage Consultant for Wine Enthusiast catalog and a Tasting Editor and Contributing Editor for Wine Enthusiast Magazine, tasting and covering the world of wine. That experience and the many relationships he has developed in the world of wine have served him extremely well as Wine Director for WineExpress.com. Josh has traveled the vineyards of the world extensively from Oregon and California, to Spain, Italy and France to uncover hidden gems to bring to our Wineexpress.com customers. Our experts go where the wine is. California, France, Italy, Spain, Australia and around the globe seeking out the best possible selections. These are wine professionals with years of experience buying for the ﬁnest restaurants and retail establishments. Once our experts ﬁnd a wine that meets our stringent criteria, we bring it to our WineExpress.com tasting panel where we blind taste it for ﬁnal approval. Hundreds of selections are submitted but very few are selected. Only the best wines, which we've given our highest WEX ratings are chosen. WineExpress.com brings you wines that are extremely limited and in most cases simply unavailable any- where else. Some of our winery partners produce wines speciﬁcally for WineExpress.com to meet our high standards and speciﬁcations. Because we work directly with wineries and wine producers our prices represent value that is well above what other wines available in the marketplace can possibly offer. WineExpress.com alleviates the stress and confusion of shopping for wine. Your choices are simpliﬁed so that guesswork is eliminated. Just select the style of wine you enjoy in the price range you're comfortable with. We're certain that you’ll be completely thrilled with any one of our exclusive selections. And if you are dissatisﬁed with any of our wines for any reason, simply call our Customer Care Department for immediate assistance and fast resolution. WineExpress.com is a multi-channel wine retailer. You can shop 24 hours a day on our website OR you can call our toll-free number and speak to a Wine Sales Specialist any time, Monday through Friday 9 am to 6 pm EST. Of course you can also e-mail us 24 hours a day and we will respond within 48 hours. Once your order is placed your wines are delivered right to your door. You simply sign for them when they arrive. Just as The Wine Enthusiast catalog and website have ably served your wine storage and accessory needs with integrity and expertise, WineExpress.com looks forward to serving all of your wine buying needs with utmost professionalism, care and value. Thank you for shopping with us.